Are you leveraging data migration software, tools & best practices to ensure your integration success? 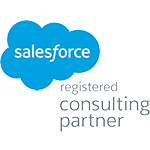 Partner with our certified Salesforce consultants. Moving is hard work. Moving furniture from one house to another takes due diligence and proper planning to make sure the objects being moved aren’t damaged or lost - not to mention that everything fits well into the new environment. Moving your business data is just as challenging (if not moreso) - and your team needs the right tools in order to succeed. In the end, moving data between orgs (or from no CRM to having one) can be a costly and messy endeavor. Nearly every enterprise must go through this hectic data migration process at some point in its development. Common challenges that arise during a data migration include underestimating a project’s complexity, poor planning and not setting aside enough resources. If not quickly addressed, these problems can lead to slow user adoption at best and major customer relationship issues at worst. We can help streamline your data transition with our deep knowledge of Salesforce data migration solutions, tools & best practices. Do you have a Salesforce Data Migration strategy? Before you can begin the monumental task of migrating your data from one environment to another, it’s important to plan out the best approach for ensuring a seamless, secure and streamlined transition. For instance, will your migration be done manually or through a metadata API? User Mapping. Are you ensuring that the record ownership is set up correctly in the new system? Who is going to use the data? Security. Are existing profiles and Organization Wide Defaults properly set up in the new environment? Cleanup. Are there unused or inactive Appexchange applications you can uninstall? Any duplicate data files that can be removed? Which data is relevant going forward? Space. Is your current Salesforce environment large enough to handle the additional data being migrated into it? Organization. Are you properly identifying the ordering of insertion of objects (records) into your new Salesforce system? Are naming parameters consistent? Backup. Have you properly backed up your old data environment before initiating the new Salesforce data migration? Timeline. What’s your timeline/deadline for the project? Have you provided sufficient time for testing the data migration before you roll it out to users? These are just a few of the factors that should be considered when initiating a data migration. Once you have a data migration strategy in place, it’s time to execute the dirty details. But just like you need dollies, hand trucks and boxes to aid in the moving process when changing houses, the right software tools and best practices can make your job a whole lot easier during a data migration and ensure a successful integration of your data into the new system. While creating and implementing a Salesforce data migration plan may cost more time and money upfront, establishing these best practices will improve the usability and efficiency of your new system in the long run - which, in turn, results in higher user adoption rates and a better ROI. Contact us today to learn more about our Salesforce data migration solutions and how we can add value to your business. We also invite you to check out our case studies for proof of our top-notch work.